We have all dustless machines for grinding, stripping, and leveling concrete surfaces, and for polishing concrete surfaces. 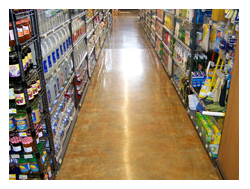 We can remove adhesives, linoleum, tile, thin set, and other contaminants. We can grind down and level uneven concrete surfaces. 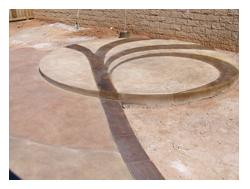 We can restore and beautify unsightly old concrete surfaces. 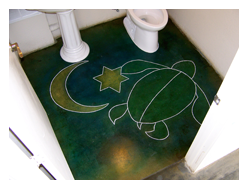 We specialize in interior and exterior polished concrete in residential, commercial, tenant improvement, and winery floors. 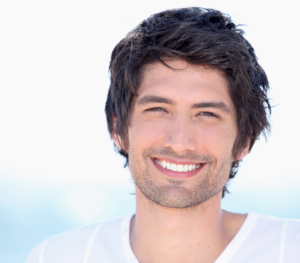 We work throughout Sonoma, Napa, and Marin county. We are fully licensed and bonded. Born and raised in northern California, Charlie Dyche first started Concrete Designs in Santa Rosa in 1985.